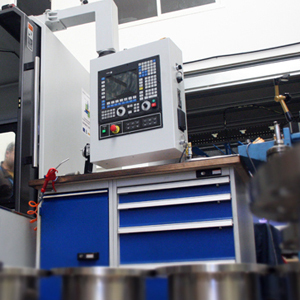 We have a wide manufacturing capacity ranging from gears, shafts, moulds, etc. to batches of serial parts or complex customised parts. 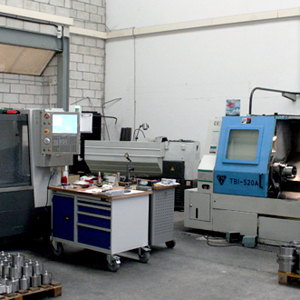 We have all kinds of machinery in our installations, such as lathes, gear cutters, milling machines, machining centres, 3D measurement, etc., in order to make sure our work always provides maximum quality, efficiency and compliance with what we do. 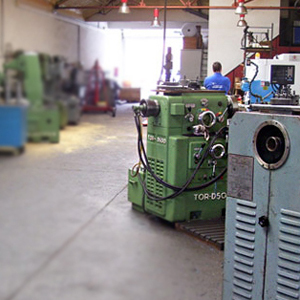 We have wide knowledge regarding machining and machine handling, thanks to our continuous training and to the know-how and experience acquired over time throughout generations, the current one being the third generation of metal workers. Among our main clients we should highlight those dedicated to manufacturing machines for research, agriculture, moulds, the light and heavy vehicle industry, without forgetting the industrial maintenance we carry out for a wide range of dairy, meat, mining, lumber, power and other companies.